Nowerdays we have solved the “remote” communication problem with cellphone, we simple working at ACE on removing the “words”. or at least not verbalizing them by using a computer to peek at one’s mind, we can get a machine to give the recipient some stimulus our brain can recognize as “reconstructed” words. 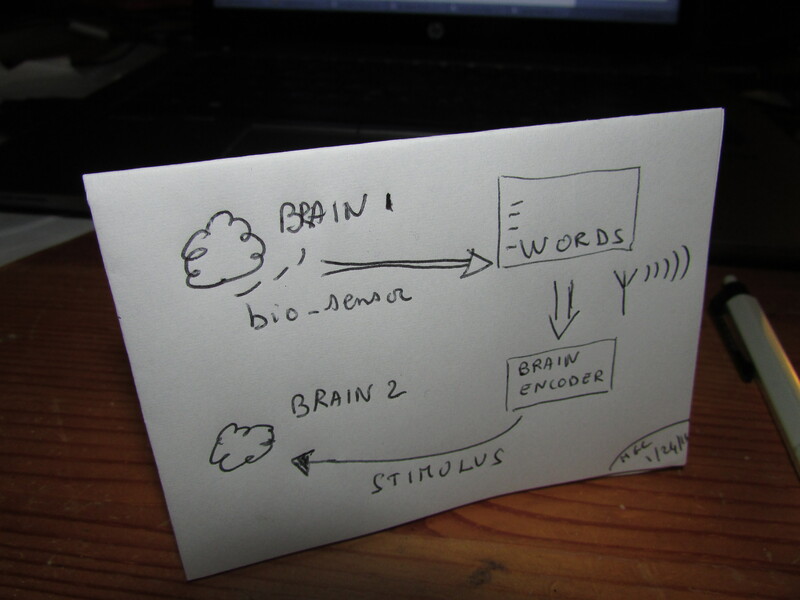 The key differentiation with other approach is that we don’t try to decipher the brain signals, which at an order magnitude to complex for nowadays computers, but actually using the brain to do the encoding that best suited for a ‘brain to brain’ communication, there for the machine doesn’t need to have the complete knowledge of the message. for more info … stay tuned.